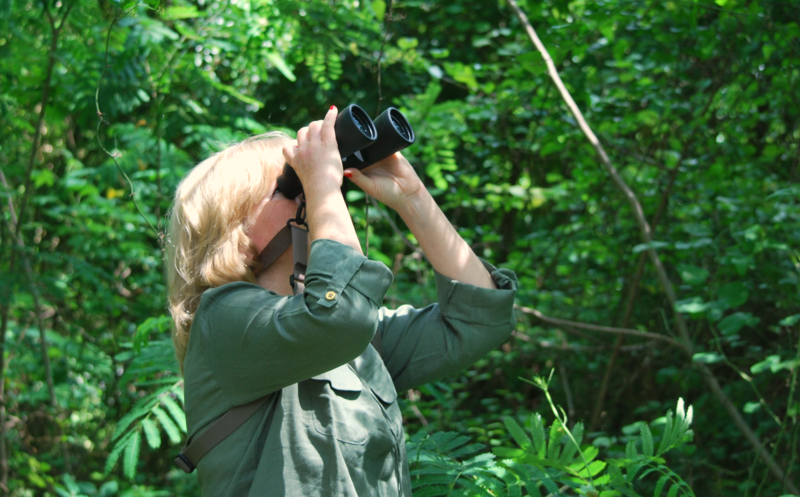 When out observing birds, this birdwatcher is distracted not only by the beautiful birds themselves, but the habitats in which they live. It’s impossible to birdwatch and not get a sense of wonder about what else is out there. Though not formally diagnosed with Attention Deficit Disorder, I can’t help but get easily distracted from a bird and notice the ecosystem going on right around me in all its glory while out birding. As a child, my nickname was “Janiebird.” Later, my cousins shortened it to just “Bird.” My first bird was a Mynah bird. Yes, a Mynah bird. It had belonged to someone else who taught it phrases and words. It used to make me laugh every time it said, “Wild white folks!” Soon afterwards, I fell in love with parrots. Throughout my teen years and young adult years, I had Peach-Faced Lovebirds, a Black-Masked Lovebird, and two gorgeous Fischer’s Lovebirds. We also had a Gray Cockatiel who could talk and call the cat by name each morning, “Figaro! Figaro!” It even greeted whomever the first person was to uncover its cage in the morning by repeating back to YOU, what YOU said to HIM!… “Hey bird!” My final and last birds I will ever have in a cage, (birds need to be free to fly) were mutated white Zebra Finches. Oh how I loved those sweet little finches! 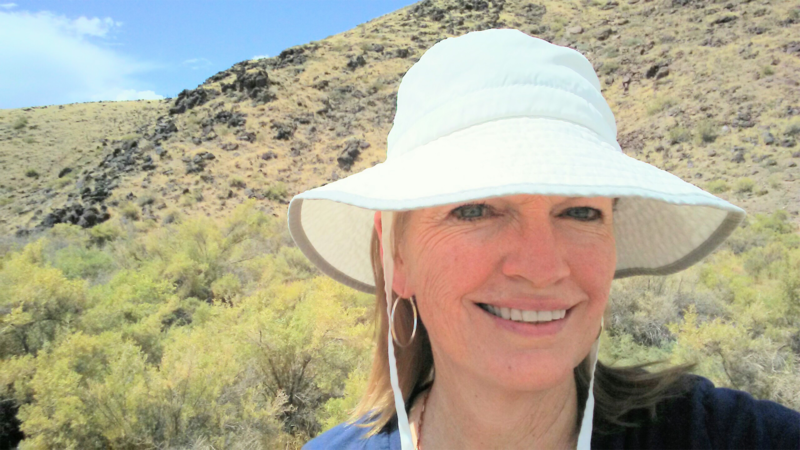 As a result of being a land dweller, a former water dweller (lived on a sailboat for a few years) a hiker, AND an avid creek kayaker, these environments have put me up close and personal with wild birds of many kinds. Also, it’s helped me get to know various trees, plants, insects, mammals, reptiles and amphibians…some in close proximity, some in the distance. I enjoy taking photos of what I see when I’m out as an amateur photographer. As an artist, it gives me the opportunity to sketch or paint what I see as well. Being a birdwatcher contributes greatly to my well-being by going outside, smelling woodland flowers in bloom, and just enjoying nature in different seasons. It’s great to get “unplugged” and relax with sounds and visuals other than electronic notifications. Birdwatching down at a local swamp. Photo by Tammy Whitten. What Can I Find Out Here about being a Birdwatcher? What CREATURE made that noise? What’s that BIRD I hear? Do they LIVE here year round, or do they MIGRATE here? And WHY? What foods do they EAT? Are their NESTS in trees, cavities, shrubs, or on the ground? Does this bird have any PREDATORS? What type of FORESTS, FIELDS or CREEKS, RIVER or SEAS do they like? What kind of PLANTS are present? Are there REPTILES and AMPHIBIANS here? Do birds eat them? Where is their WATER source? What role does the WEATHER play in what I’m seeing? Through my adventures, I’m learning the answers to some of those questions. I’m not a birder with expensive camera equipment, or plane tickets to destinations afar to see birds, and maybe you aren’t either. However, I do go to different places in my state of North Carolina, to state parks, municipal parks, local creeks, rivers where birds and their neighbors can abound. You probably have some nearby, too that you can go to for birding. And then you, like myself, can even keep it local, too — like right in your OWN backyard. What a great feeling to welcome back migrating birds each spring or fall. It’s like having friends coming back for an annual visit! The anticipation of their arrival is a great feeling! Amazing who and what shows up there in different seasons of the year! Checking out a Great Crested Flycatcher. Birdwatching or birding, is fun and challenging. 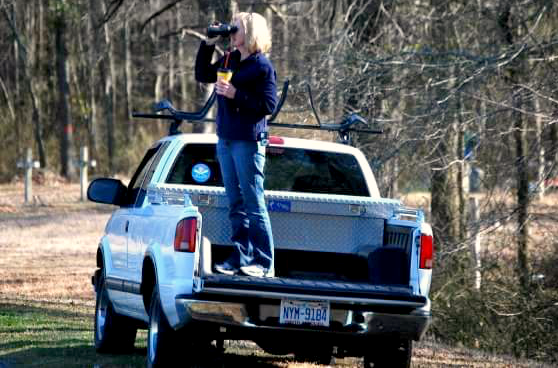 It gives a sense of accomplishment in finding or identifying the birds you encounter and hear. There’s a tad of mystery, even a bit of intrigue as you discover a bird you’ve never seen before. Getting outside is great for you and puts you in mostly peaceful surroundings. Who doesn’t need some of that in their life? That is to say, it is my hope to show you how easy it is to birdwatch or “bird” as we call it. You don’t need expensive equipment to have fun and learn about birds and their habitats. For instance, there are many places you can consult for information. There are various great bird field guides, birding websites, social media pages with regards to birds, phone apps, and groups online you can join and learn from others as well. Events are posted online that you can participate in right from where you live! And of course, there’s Google! It is my hope to help you enjoy birding where you live and also at your fabulous state parks, local areas and of course YOUR backyard. So, are you ready to make some discoveries and adventures all your own? Let’s go!